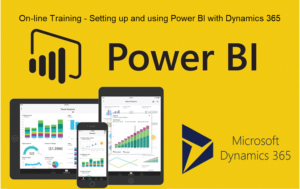 Online training on setting up Microsoft PowerBI and basic training on building reports & dashboards with Microsoft Dynamics 365. Learn how to set up and use PowerBI with Dynamics 365. This training session is approximately 2 hours and you can attend right from your PC.